The Altar Server ministry offers children and adults an opportunity to be directly involved with the celebration of the liturgy. Altar servers assist the presider during mass, serve the parish family by assisting in the celebration of the liturgy and serve God through worship and prayer. We encourage parents and children to serve together. This is a wonderful way to honor God as a family. Required training is provided. We keep our place of Worship clean, polished and beautiful. God loves a clean house! The Church Cleaning Angels provide a loving weekly service, generally on Friday after 9:00am Mass. “I am the living bread that came down from heaven; whoever eats this bread will live forever; and the bread that I will give is my flesh for the life of the world.” (John 6:15) To administer the Eucharist to the people of God is one of the greatest capacities in which we can serve. Faithful members of our parish are always needed for this very important ministry. Volunteers are also needed to administer the Eucharist in nursing homes and to our homebound parishioners. 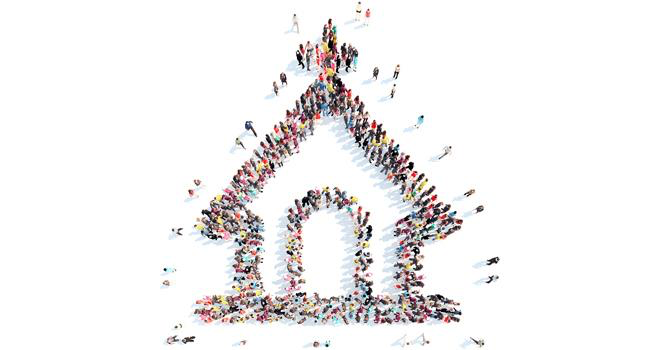 The objective of this ministry is to greet everyone as they enter and leave the church, just as we would greet our friends and family as they enter our homes. This is our parish family and we want to welcome one and all. If you would like to become a part of this ministry, no special training or talent is necessary. You only need to be able to smile and say “Good morning or afternoon”, or “Welcome to Sacred Heart.” Children or grandchildren are welcome to greet with you. An integral part of the sacrifice of the Mass is the Liturgy of the Word. As authorized since Vatican II, we have had an active group of parishioners participating in this ministry. They proclaim the Word of God, and lead the congregation in prayer. Members of the parish are encouraged to serves as lectors. After receiving proper instruction, they are scheduled at regular intervals to carry out this ministry. Music plays a very important part of our worship at Sacred Heart. Vocal, choral, and instrumental music also enhances our liturgies. All those with musical talents are encouraged to participate in the various music ministries. Choir and cantor practice held weekly on Sunday following the 11am Mass. The ushers’ responsibilities include seating the congregation, offertory collection, selecting a family for the offertory of the gifts, making sure that the movement of the people during communion is organized and orderly, and to provide for the comfort and convenience of the worshipers. New ushers are always welcome. Participation is not limited to individuals; we encourage families to join as a group. Help our master decorator transform the interior of the Church to enhance the liturgical celebrations for the season. No special skills are required, just the ability to work with the chief decorator. Agree to maintain and enhance an assigned plot of land on the Sacred Heart facilities to help beautify the exterior of our Church. Our ministry exists to be the hands and feet of Jesus in helping those in need in our local area who need financial or food assistance. Through home visits, bi-monthly meetings, and our food pantry, we are an outreach to families in need. Meets the first and third Wednesdays of every month @ 7pm in the social hall. 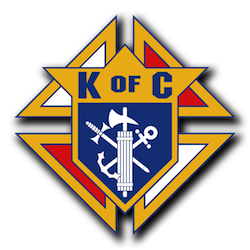 Knights of Columbus is a Catholic fraternal organization dedicated to promoting and conducting educational, charitable, religious, and social welfare works, rending mutual aid and assistance to sick and needy members, their families, and those of the community. We convene monthly to design and realize projects that will support the spiritual and material welfare of those needy around us. Optional general meeting is the first Tuesday of each month @ 7pm in the social hall. We prayerfully develop and implement programs to unleash the Good News of the Gospel. We strive to discover new ways to invite the Trinity into how we live each day; so that we can cooperate with the grace of God, to become joyful missionary disciples. Our meetings are 5 or 6 times per year to develop programs to educate, evangelize, and grow our faith. Our mission is to pray for the needs and success of our Sacred Heart Parish, leadership teams and programs. We meet the Second Sunday of each month between Masses (approximately 10:00 AM) for approximately one-half hour, in the Adoration Capel and Pray for the Sacred Heart Community and Parish. We prayerfully develop programs to spread the good news of the Gospel by serving our community. As the Epistle of James says, “faith without works is dead”, the Christian Service commission attempts to provide opportunities for Sacred Heart Parishioners to share their talents and gifts from Gods with others. We meet about 5 or 6 times per year to develop programs to probide opportunities to the faithful at Sacred Heart Parish to serve those in our community. Ministers bring the presence of Christ in prayer and in the Most Holy Eucharist to the residents of Boulevard Health Care on Sunday, or American House on Adams or Auburn and Oakmont Senior Residents Facilities on Tuesday or Thursdays. This takes approximately one hour to provide spiritual nourishment for all those requesting it. Everything from prayers, a crucifix, the Eucharist, and bulletins are provided so that all that is required is your joyful love of neighbor and willingness to share the Lord. Our mission is to assist Parents (the child’s primary Educators of the faith) in learning about the Catholic Faith, so that when they complete the Sacraments of Initiation, and with the Grace of the Holy Spirit, they are ready to Unleash the Gospel and live by the example of Christ to their world. We teach religious Education Classes and coordinate service projects from First Grade to Eighth Grade. Typically the classroom instruction begins the last week of September and continues through the end of April. Classes are held on Monday Evening from 5:45 to 7:15pm except for Holidays or when Avondale School District is closed that Monday.